As transplantation science advances, nurses trained in this specialty continue to be in great demand. 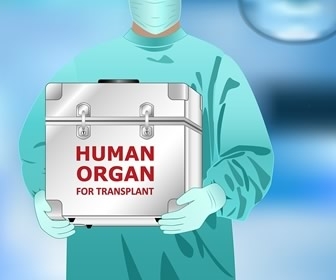 Single and multi-organ transplants are becoming more common yet there is still a great need for donors. Pre-transplant care of the patient preparing for transplant: coordinating testing, education regarding wait lists, continued optimization of health and emotional support. In-patient nurses care for patients who are actively having transplant surgery or are too ill to be in the community. Post-transplant nurses care for the patient after transplant with education, monitoring of immunosuppressant levels as well as coordinating care. End-stage heart failure is the main reason patients need a heart transplant. Patients who are awaiting a heart transplant often must stay in the hospital for prolonged periods of time while waiting for an organ. Heart transplants are decided on the basis of need. Patients often require an intra-aortic balloon pump (IABP) or ventricular assist device (VAD) as a bridge to transplant. Heart failure cases have increased dramatically from 5.7 million (2009-2012) to 6.5 million (2011-2014) cases in the US for people over the age of 20. Nurses that care for patients who are admitted to the hospital while awaiting transplant often care for them for weeks or months. At Debakey Heart and Vascular Center at Houston Methodist Hospital, nurses have developed a program to assist patients while they wait. For instance, everyone knows how sleep deprivation can affect patients. So, lab draws are scheduled at 8 am instead of 4 or 5, interruptions are kept to a minimum during the night by using video cameras on the patients, and vitals are monitored remotely. Ambulating patients with IABPs isn’t possible when placed in the usual femoral approach. However, by placing axillary aortic balloon pumps (PAxIABPs), patients can be more mobile and even ambulate in the hallways with assistance and monitoring. End-stage renal disease (ESRD) can occur from many causes including genetic, congenital or acquired illness. In the US, the leading causes of ESRD are diabetes and hypertension. Many patients with ESRD end up on dialysis while awaiting transplant. Wait lists for kidneys can be just a few days to several years. Living donor transplants statistically have a longer life then deceased donors. Living donors undergo rigorous testing to ensure that both kidneys are very healthy and donation. If the donor develops ESRD they are then considered immediately for transplant. Again the care of transplant nurses is very important in renal transplants for many of the above-mentioned reasons. More nurses will need to be educated in the care of transplant patients. Many of these patients are already in the community, either awaiting an organ or having received one. Care of these patients can be very complex and will require a multi-disciplinary approach for successful outcomes. Welcome to allnurses.com. I'm the Asst Community Manager. Please let me know what I can do to make your experience more enjoyable.